My roots run deep in Louisiana soil. Born and raised here, I’ll be buried here. Its cultural and ethnic history colors who I am – Black, Catholic, American and Creole. This melding of Africa, Europe, the Caribbean, and native peoples indisputably defines southern Louisiana. Culturally, it is unlike any other region in the States with its Creole and Cajun cuisine, its music of jazz and zydeco and its festive Mardi Gras when the good times roll prior to the forty days of Lenten fasting and penance. Yes, there is much to celebrate about Louisiana. But like other southern states, it has a dark and shameful past anchored in slavery. 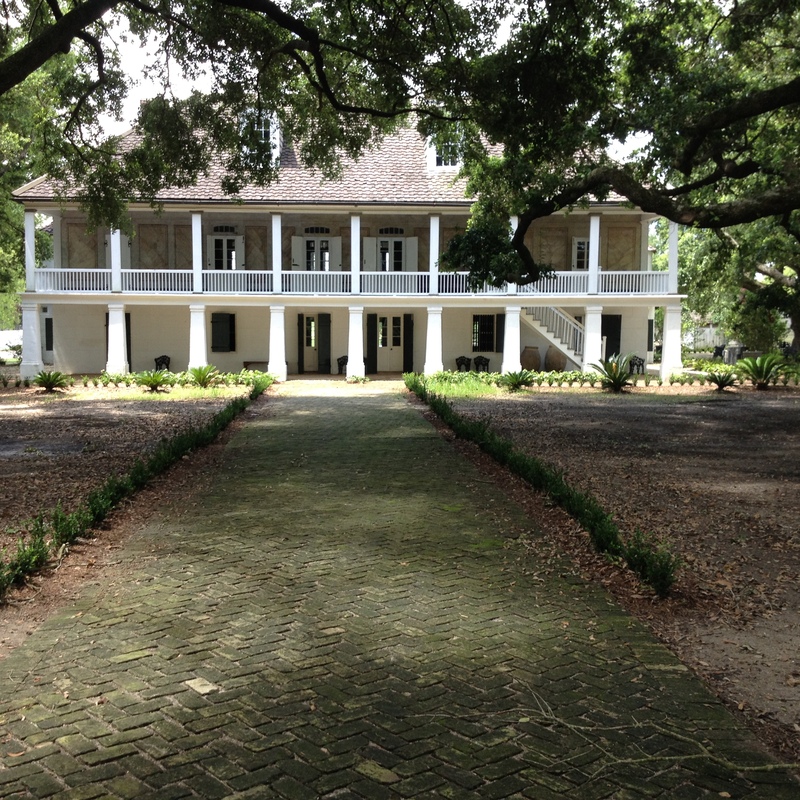 Melanie and I were reminded of that past with a visit to the Whitney Plantation along the famed River Road, where there is a string of plantations just a few miles from New Orleans. 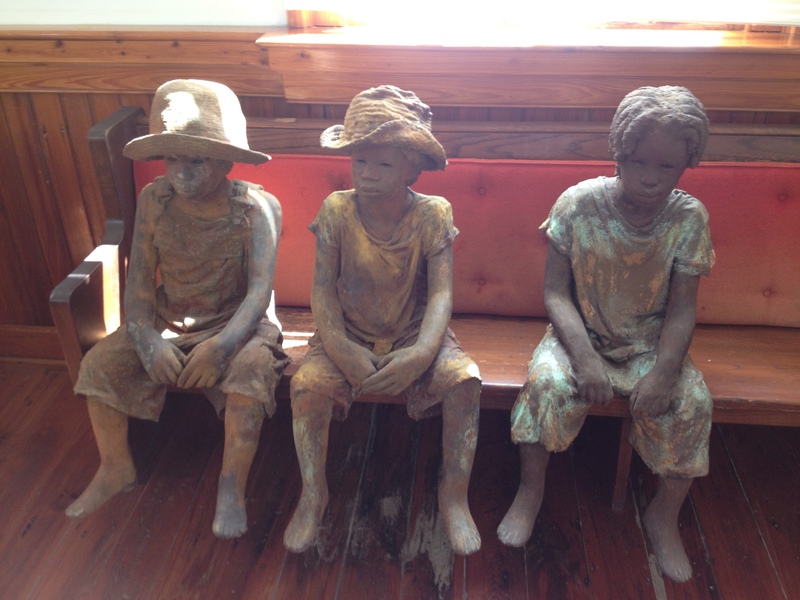 Unlike other plantations, this one is a museum that documents slavery through the slave children’s eyes. Bought and restored a few years ago by a prominent white lawyer, John Cummings, the museum’s main purpose is to educate the public about slave life. To paraphrase Mr. Cummings, he created the museum to help people of all ethnic and racial groups to understand their common humanity and to demonstrate to those who share his skin color how horribly they treated others of a darker hue. 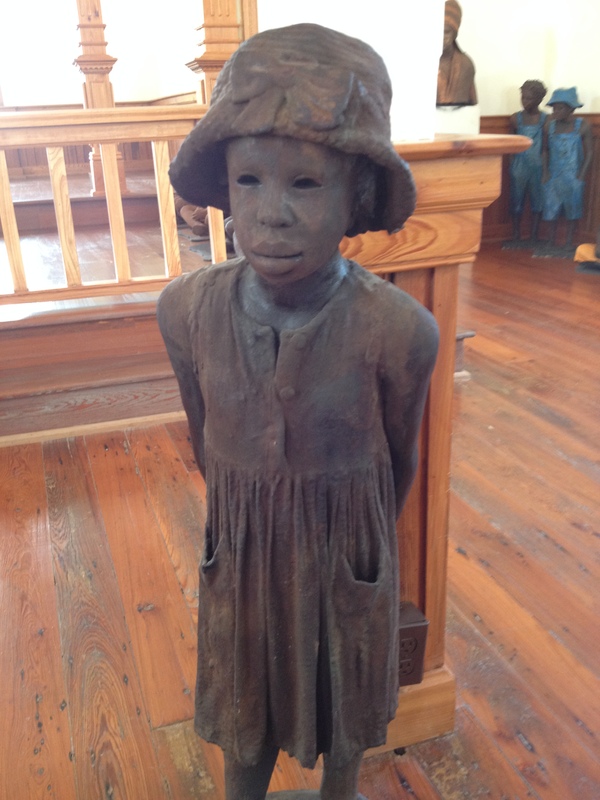 Throughout the grounds of the museum are statues of children whose faces were cast from actual photographs from this or surrounding plantations. Melanie and I were both moved by their blank and vapid facial expressions and bending submissive postures. Their simple clothing, hung loosely on their frames, encrusted with soot and dirt, told of hard labor in the fields, cutting sugarcane and then boiling the cane in vast sugar kettles. As I stood in the walled memorial garden with the names of over two thousand slave children engraved in the stones, I felt a piercing pain, imagining my own sons and granddaughter as slaves. And as I continued to walk the grounds, I saw images of them and myself, reliving the lives these children endured. How would I have comported myself with the overseer? Would I have been sufficiently submissive? Would I have cast my eyes downward, appropriately bowing to authority? Or would I have been insolent and arrogant warranting the whip? 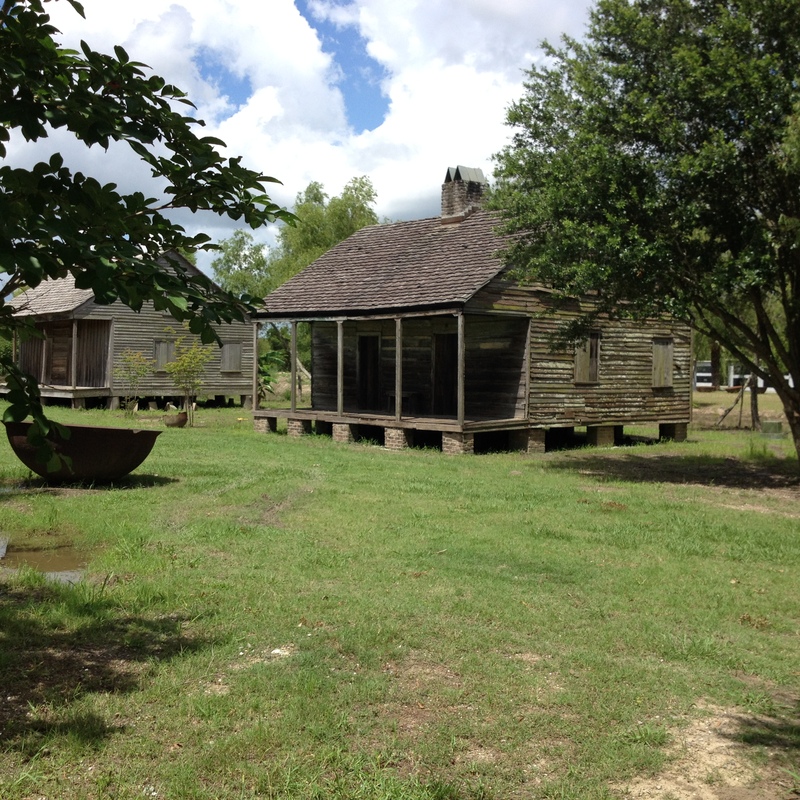 As we entered one of the slave houses, I felt the discomfort of slave families jammed into wood framed dwellings, in summer suffering from the smothering Louisiana heat, and in winter exposed to the winter air seeping through the cracks in the boards. After a long day of labor from sunrise to sunset, I imagined weary bodies sprawled on straw beds under bed coverings of potato sacks. 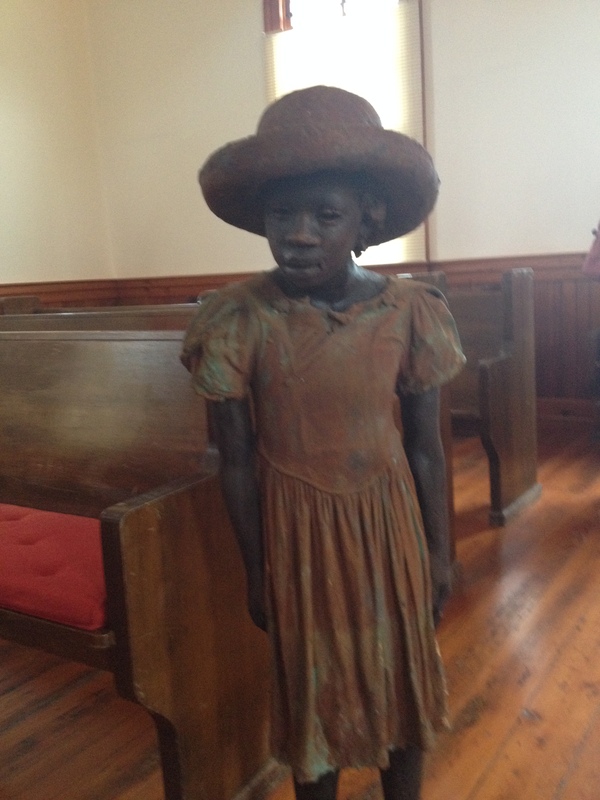 The museum exists so that these slaves and the suffering they endured are not forgotten. Their names are engraved on black granite walls — those shipped from Africa with their country of origin and original name and those born in this country with their Christian names. Some names tell personal stories, collected during the WPA project during the Great Depression. Mary Harris, age 86 at the time, tells her story: Sure I remember slavery times. I was a big girl, turned eleven. I used to pull the fan that kep’ off the flies while the white folks was eatin’. It wasn’t hard work, but my arms used to get tired – ‘specially at dinner when they set so long at the table. I made the fires and brought in kinlin’ wood and carried out the hashes. As we learned from our guide, there was a rank of commercial importance on the plantation – the blacksmith, the mule, the cook, and then the rest of the slaves. Undoubtedly, Mary Harris as a child was being groomed for work in the big house. Unfortunately, we did not get to see the big house. Torrential rains ended our visit abruptly. Happily, we were given a rain check and today we visited the kitchen where slaves prepared the food for their master as well as the big house itself. As plantations go, this one is modest in size and splendor compared to others along the river like Oak Alley. And like Oak Alley the walking path leading to the entrance of the home is lined on both sides with huge oak trees that provided a canopy of shade and served as a funnel through which air traversed to cool the house. I’ve visited other Louisiana plantations but none equals the educational value of the Whitney. Nor did I realize I had a personal connection to the Whitney until I saw news coverage of the plantation’s opening. To my surprise I learned that Sybil Haydel Morial, the wife of the first black mayor of New Orleans, and with whom I worked at Xavier University of Louisiana, traces her roots to the plantation. Her ancestor, Victor Haydel, was the son of the plantation owner’s brother and an enslaved woman, Anna. Sybil’s son, also a former mayor of New Orleans, now heads the national Urban League. Like many others who’ve read about slavery, I felt largely untouched by it. As a black person privileged to have been born in a strong family unit with equally strong attachments to the Catholic Church, slavery was distant and kept at bay. My two visits at the Whitney changed all that. I felt the pain and suffering of those whose stories were etched in stone. I heard their cries of anguish within my soul. I mourned with the child forcibly separated from her mother. I winced at the thought of being somebody’s property. I shuddered at the wheezing sound of the whip on a bloody back. I pitied the slave woman selected solely for the purpose of breeding. 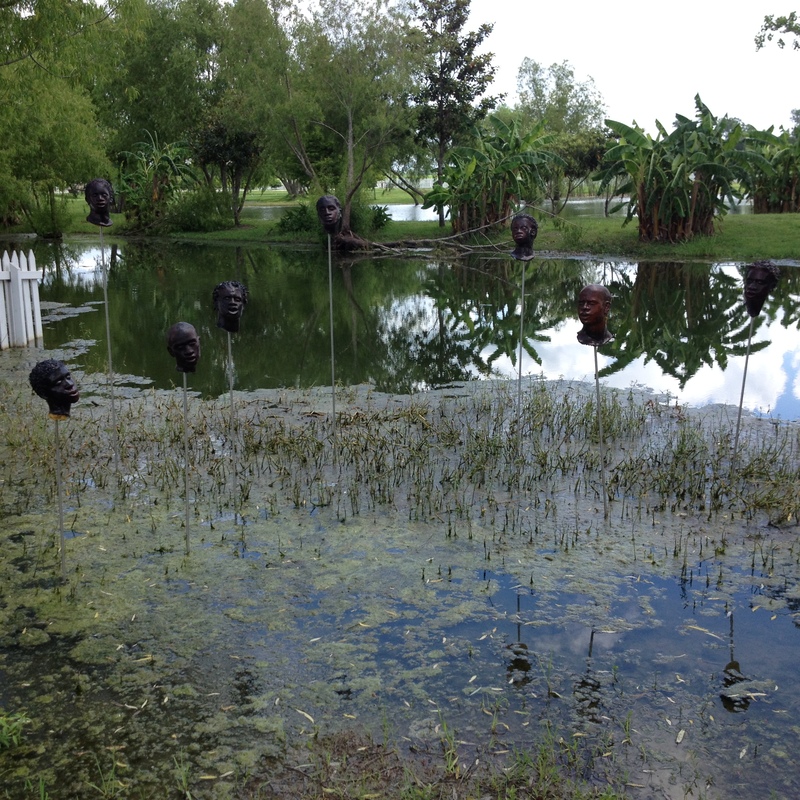 And lest I forget the price of insolence and resistance, there atop poles standing in the swampy waters of the plantation rested sculpted heads of slaves who revolted against their masters, a vivid reminder of the fate of those who dared to do the same.